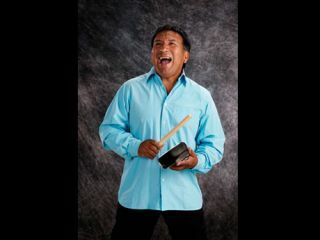 PRESS RELEASE: Gon Bops in association with DW Drums are proud to announce legendary drummer, percussionist and teacher Alex Acuña will be appearing in two exclusive clinics accross the UK. With his infectious enthusiasm and easy going approach Alex will demonstrate his percussive skills and techniques across a wide range of instruments ranging from cajon to congas, bongos to timbales and bells. He will also show how to transfer traditional rhythms to drum kit. Born in Pativilca, Peru, Acuña played in local bands from the age of ten, moving to Lima as a teenager before joining the band Perez Prado at the age of 18. By 1974 Acuña had moved to Las Vegas, and was working with artists such as Elvis Presley and Diana Ross, and the following year he joined the jazz-fusion group Weather Report, appearing on the albums Black Market and Heavy Weather. Acuña left Weather Report in 1978 and became a session musician in California, recording and playing live with artists as culturally diverse as Paul McCartney, Joni Mitchell, Ella Fitzgerald, Whitney Houston, Plácido Domingo, Sam Phillips, Herbie Hancock, Carlos Santana, Beck, Roberta Flack, U2, Peter Gabriel and Blondie. He has also worked as an educator at University of California, Los Angeles and Berklee College of Music.